Beautiful theatre with one of the largest stages on the Fringe. 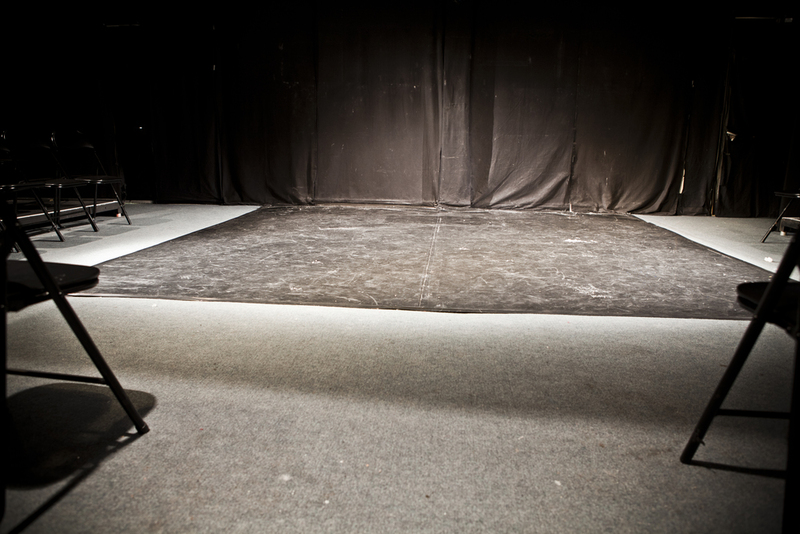 A permanent rake leads down to a flat floor end on stage with full side masking. Set storage available upstage beyond tracked blacks. Stage is sprung and covered in black dance floor. 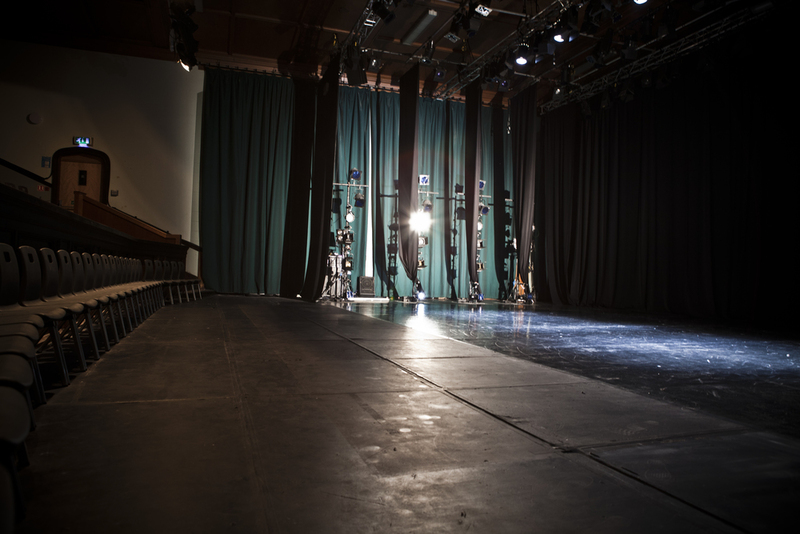 This space is ideal for dance and physical theatre and features professional technical facilities. The lighting plan below shows our standard rig to which specials be can added. Intimate thrust layout black box studio. Raked seating and good technical facilities. 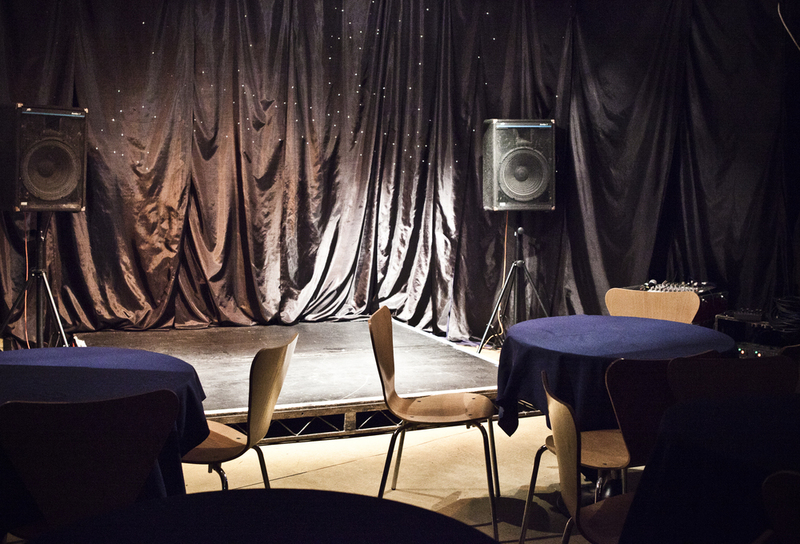 Classic cabaret space ideal for comedy and music. Small corner stage with cabaret style seating. 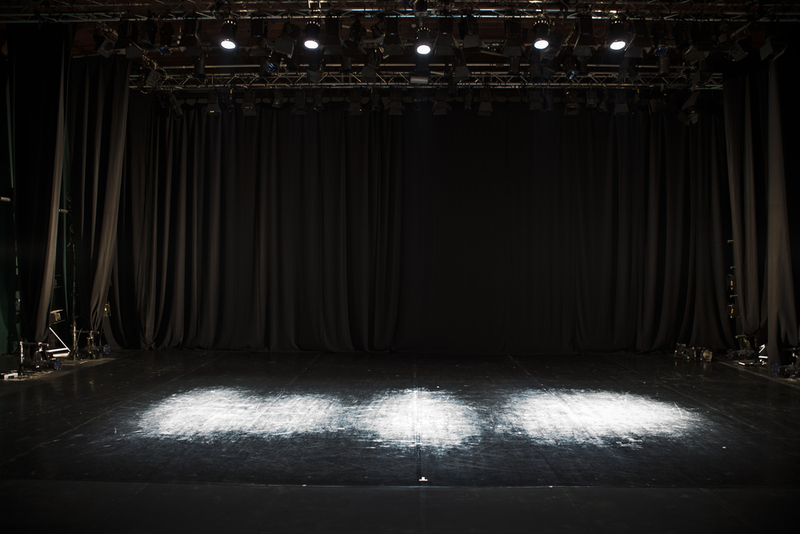 Stage is 0.1m high with further performance space to the side and in front.